Cryptocurrencies have become a rage in the recent times. The digital asset that works as a medium of exchange with the use of cryptography for secure transactions is now solicited by one and all. If you are aware, the value of Bitcoin increased by more than 200% during the current year itself. Most of us are financially savvy now, and understandably everyone wants to know more about these cryptocurrencies. Incidentally, there are more than 900 cryptocurrencies prevalent at the present moment, but only a handful of them are available for use in India. Currently, there are only three cryptocurrencies which can be bought directly, and as mentioned before the most valuable among them is the Bitcoin. The other two are Ethereum and Litecoin respectively. Still, there is a lot of confusion as not many of us are aware of the places these coins can be bought and sold. Bitcoin: This is regarded as the most valuable and one of the best among all the prevalent cryptocurrencies. Bitcoins can be purchased from their official website called Zebay. Bitcoin has made incredible progress in the recent times and has witnessed exponential growth. Industry experts believe, Bitcoin has the potential to attain even higher values in the coming days. You can secure your future, by buying at least one bitcoin. Litecoin: This is also referred as LTC and at present has a trading value of $161 million after Bitcoin and Ethereum. 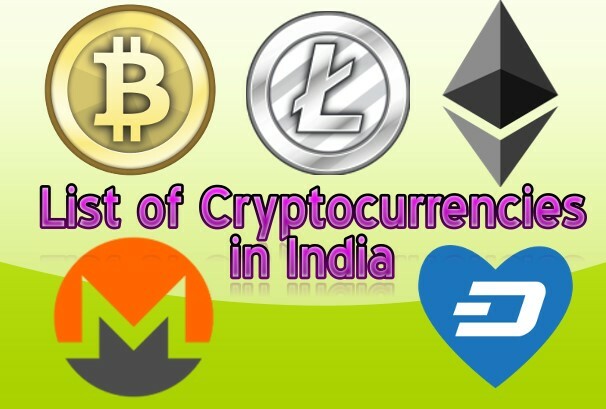 Going by the way it is expanding, Litecoin is a front-runner in grabbing one of the top spots in the list of top cryptocurrencies in India. Again, industry experts believe, it should not take too long for LTC to reach a trading value of $500 million, which is about 3 times more than its current valuation. Ethereum: Currently, there is a stiff completion ongoing between the Bitcoin and Ethereum as both of them are fighting it hard to reach the number one spot. Speculations are, the value of Ethereum are on the rise, therefore, you can secure one such coin for managing transactions later on. Monero: This cryptocurrency particularly emphasizes on the security and anonymity of these coins. The current trading value of Monero is more than $100 million. The market trend indicates, the increasing values over the last few months in comparison to the other bitcoins. Undoubtedly, it uses some innovative ways to render the blockchain analysis. This is currently at the fourth position in India. Dash: This is referred as a DarkCoin cryptocurrency. These coins are well known for their security while making transactions. Dash is the only decentralized autonomous organization in the world. Dash is presently in the fifth position among all the other Bitcoins available. It may take a little time for you to understand the concept initially, however it is highly recommended that we start trading with these coins. Eventually, we may start from the affordable and then acquire the one that is most popular.